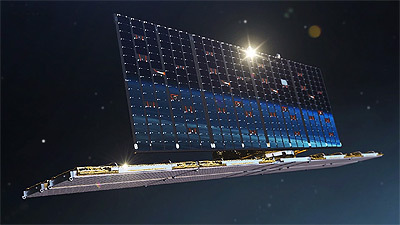 ICEYE X are proof-of-concept prototypes for a planned constellation of SAR (Synthetic Aperture Radar) equipped microsatellites, designed by the Finnish ICEYE startup company. ICEYE is designed to provide near-real-time SAR imagery. Iceye is working to launch and operate a constellation of micro satellites that carry its own compact and efficient SAR sensor technology. The ICEYE imaging radar instrument can image through clouds, obscuring weather and darkness. A second prototype, ICEYE X2 features improvement to increase the range of incidence angles and to improve the ground resolution to 3 m. The satellite is partially assembled by a Polish subcontractor.